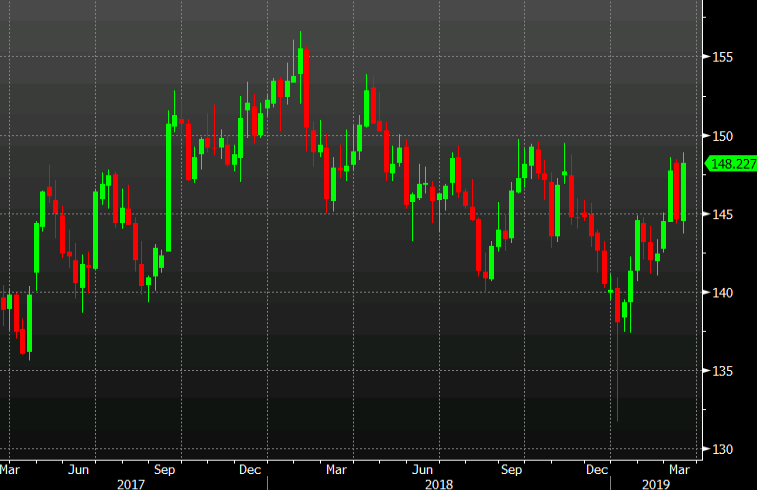 Parliament voting against a no-deal Brexit was a major catalyst for the pound along with hopes that May can find a way to get a deal through. It surged more than 2% against the US dollar and nearly 2.5% against the yen. Otherwise, the US dollar and yen were generally weaker as commodity prices and currencies rose. The weekly GBP/JPY chart is an interesting one. This week's rally merely erases last week's decline in what's been a three-week back-and-forth. It will take a break above 150.00 to get this pair moving to the upside but beyond that it could be a nice ride up to 155.00.